Commemorate your achievements and join us in the celebration of your graduation. The two ceremonies will be held on Tuesday, April 30 at the Castlegar Campus. Stay tuned for more details. After our traditional ceremonies in the the gymnasium, you and your guests can take part in the celebratory reception in the main building of our Castlegar Campus, making this day a memorable occasion with your proud family members and friends. Please note: All students who are anticipated to complete their studies prior to July 31, 2019 will be extended an invitation to the 2019 Convocation. Students whose completion falls after this date will be invited to Convocation 2020. Join Selkirk College on Facebook, Twitter and Instagram. 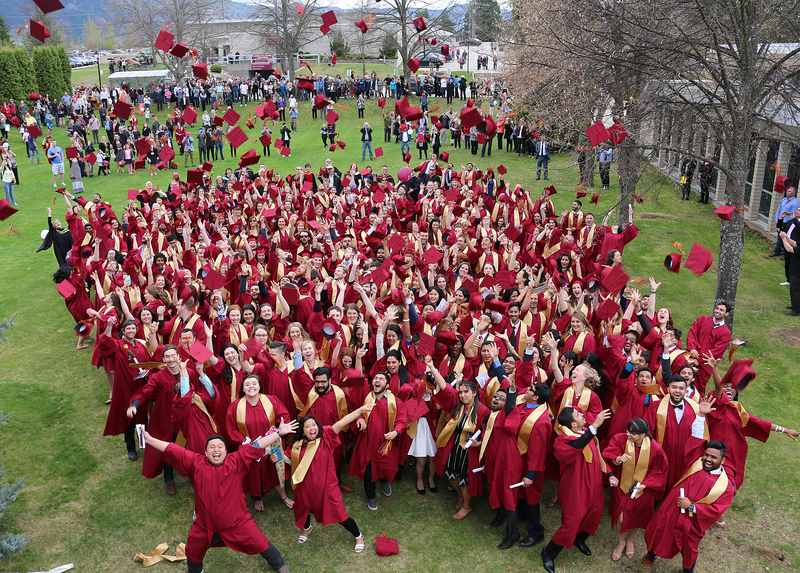 Use #SelkirkGrad to connect and share you graduation experience!